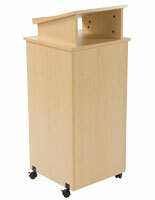 Are you shopping for cheap podiums for sale? 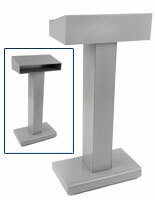 Businesses across every industry recognize that having the proper speaking furniture can have a huge impact on audience engagement. 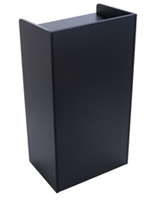 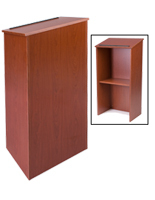 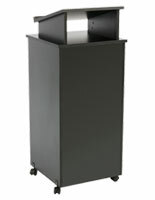 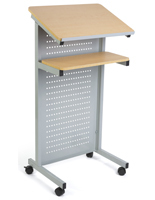 Cheap podiums for sale, also known as low-price lecterns, are often dismissed by purchasing managers who may confuse low price with low quality. 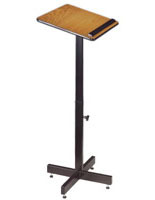 However, not every operation necessarily has the budget to afford the "perfect" lectern that will meet all of their presentation needs, match the decorating scheme, and feature custom-printed branded graphics. 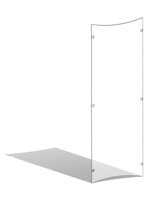 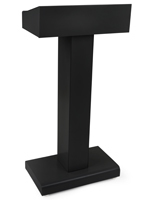 Our cheap podiums for sale are an important part of our extensive inventory, as we strive to ensure that every budget range is covered without sacrificing quality or usability. "Lightweight" podium construction has nothing to do with shoddy workmanship. 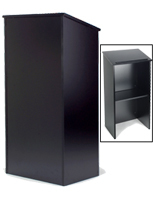 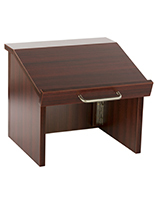 Our super-economy fold-up countertop lecterns might be made of melamine coated plywood, but they are still durable and designed to withstand heavy use. 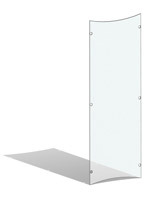 Thinner quarter-inch acrylic still provides the same stylish, contemporary look as its thicker, sturdier cousins. 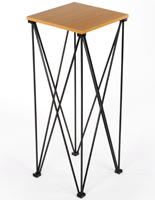 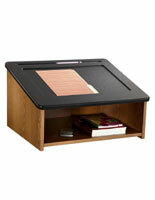 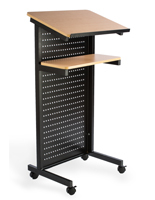 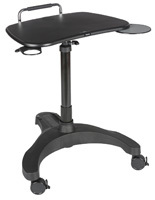 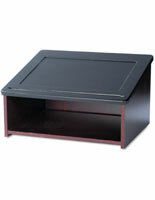 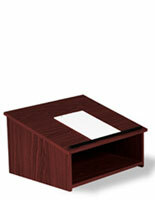 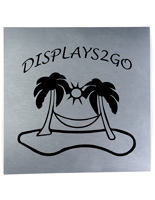 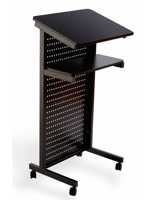 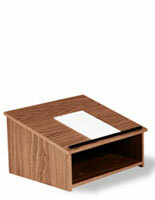 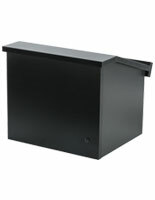 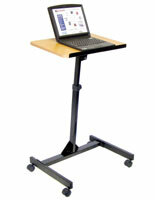 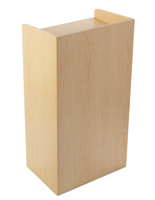 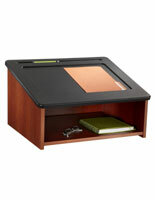 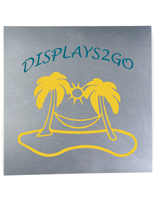 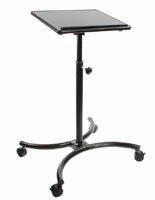 Podiums2go is constantly sourcing new models in addition to keeping popular styles on hand and ready to ship. 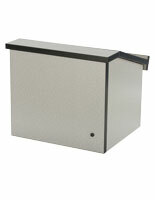 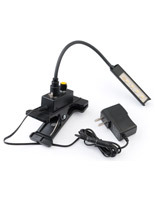 This means that our warehouse is continually receiving new stock for sale. 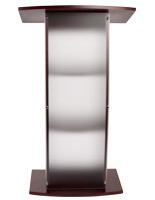 Offering significantly discounted pricing on certain podiums ensures not only that our customers are receiving the most economical deals available, but also that our in-stock inventory includes the most up-to-date, popular lectern styles for sale on the market today. 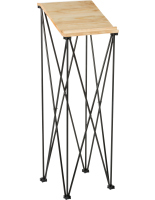 Speaking furniture is, after all, furniture. 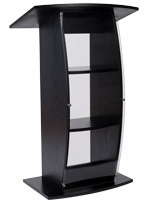 Our large in-stock inventory of speaker and presentation stands includes many that arrive fully assembled and ready to use. 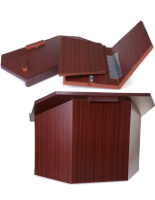 However, many are also available that ship either partially assembled or broken down, which allows us to pass along the savings on storage and shipment to our customers. 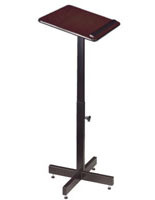 Every pulpit and lectern that requires assembly comes with detailed instructions on how to put it together, and our website includes many "how-to" videos that show exactly what steps need to be taken, in what order, and by how many people.